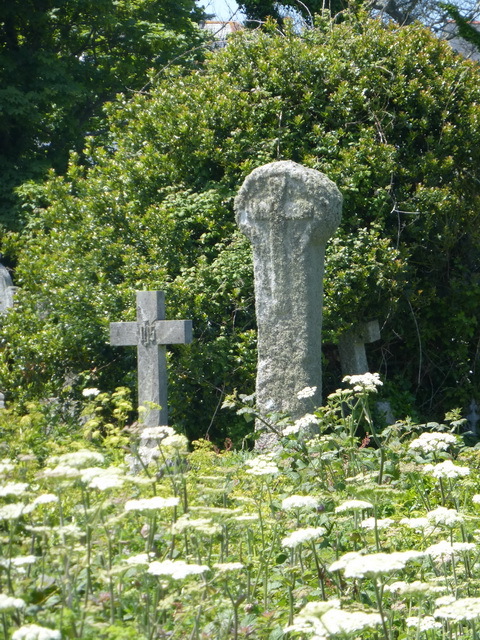 The church of St Uny in Lelant has five crosses in its churchyard. Another stands alongside the road a little way off. We only found four of the churchyard ones. We have, so far, found little out about these crosses.